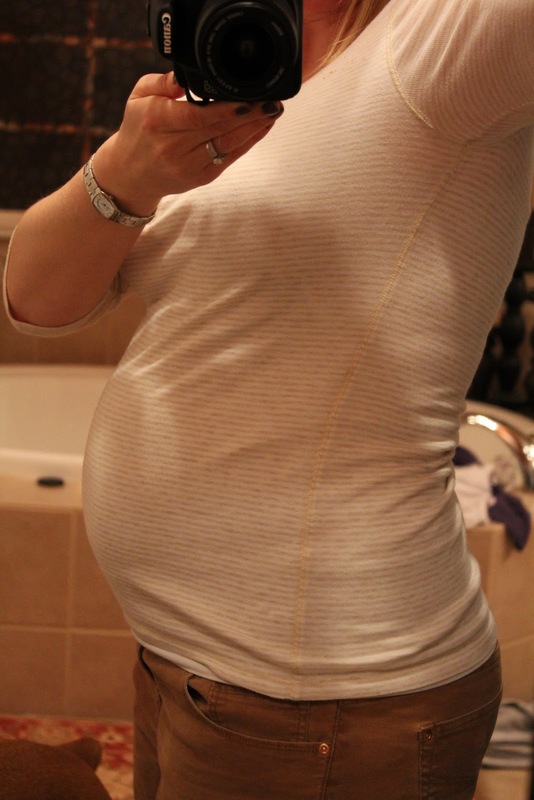 I guess a pretty big thing is that the baby’s movements are becoming more distinct! It used to be pretty sporadic and really only felt like tickles or flutters, but lately I’ve been feeling him more consistently, and although I still feel the flutters I have been feeling what I can only describe more as a “thump” from the inside : ) I think I’m starting to notice a pattern too. I always feel him in the morning when I first wake up (that’s when I feel the thumps, I think it’s his way of saying “feed me Momma”) and I usually feel him after I eat, when I lay down to go to sleep at night and sometimes when I’m driving in my car. Speaking of cars…we got a new one over the weekend!!!! Dan and I knew that my little Jetta wasn’t going to cut it once our little guy came and that his truck; as nice and convenient as it has been for us and all of our friends : ) just wasn’t practical. 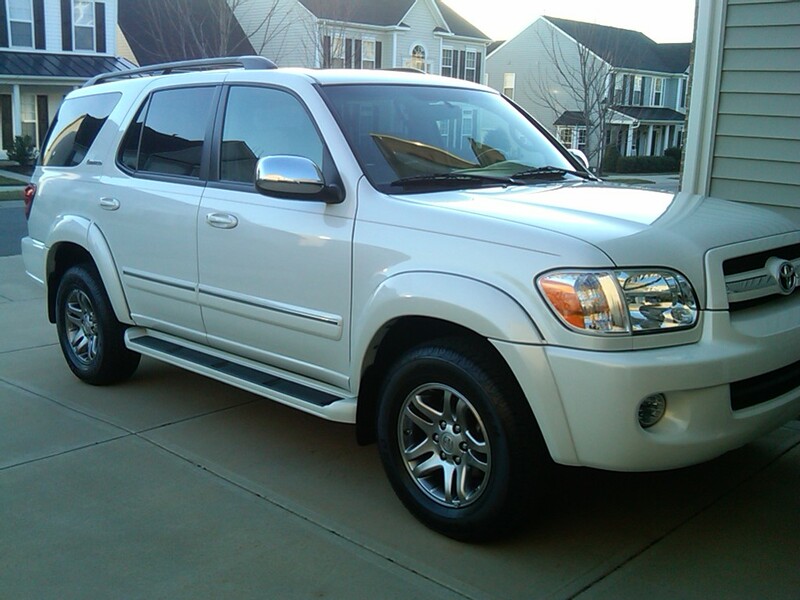 Dan has a company car which he drives all the time, and I have little “Jackie”, who’s been fantastic, but just too small, so we did some research and test drove some SUV’s and we decided that a Toyota Sequoia was a great fit for us! We wanted something bigger, that could carry us, the baby, and the dogs comfortably, and also needed something that would be able to tow the boat, and the Sequoia was esentially a perfect fit! I put my car up for sale 2 weekends ago and by Friday I had “sold” it to a co-worker of mine! So we traded in Dan’s truck and we now have our pretty and sweet new ride!! Total weight gain. Almost 12 lbs, which is on track but Yikes!! Sleep? Great but having some crazy and vivid dreams! Best moment this week? Buying our new car, picking out our baby furniture, and hanging out with Jess! Movement? Flutters and thumps more consistently, and feeling him every day now! Looking forward to? Choosing a name, picking out paint colors and getting the nursery started! Milestones? 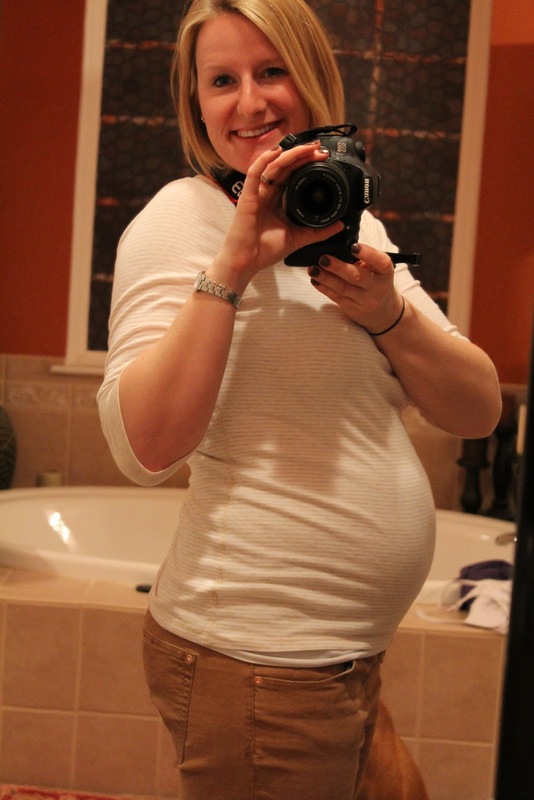 Only 19 more weeks til we meet our little guy!